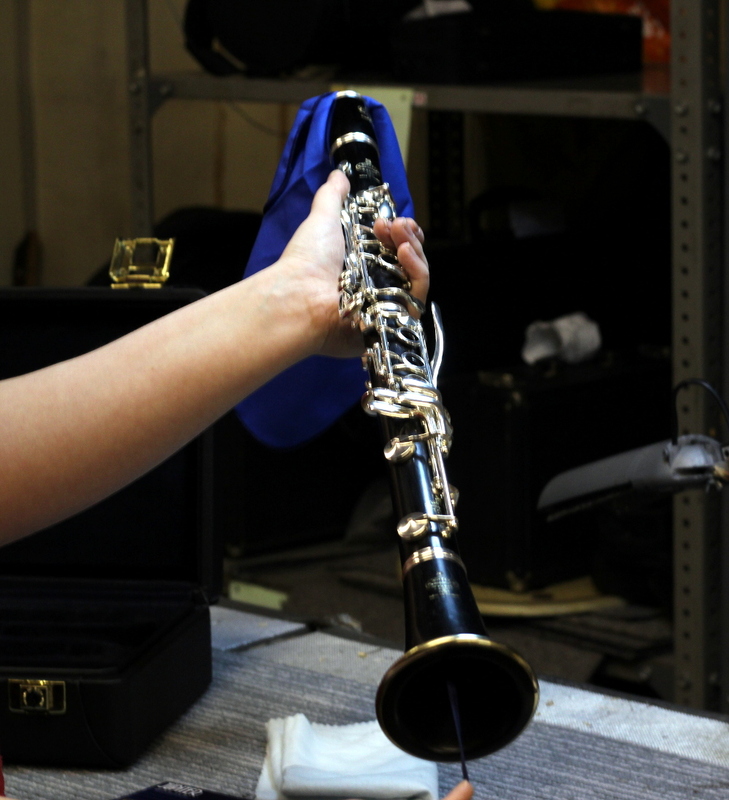 It's one thing learning to play the clarinet, but learning how to clean and maintain your instrument is equally as important. In this guide, we'll go through a few things to get you started. 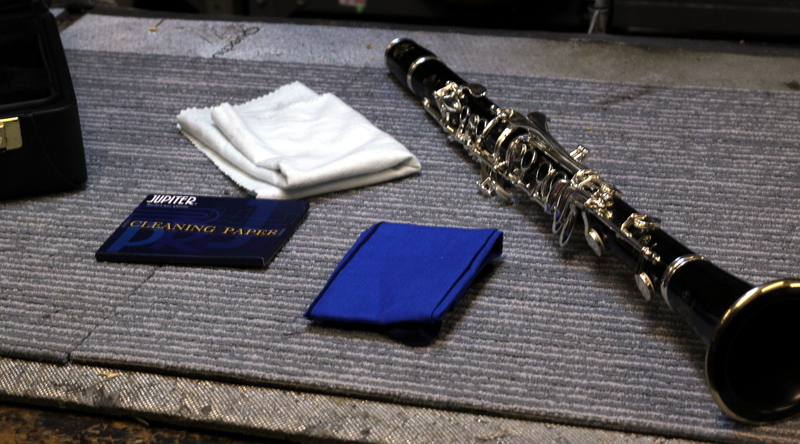 To start, we'll need a clarinet, a clarinet pull through (here, I use a Helin) and a silver polish cloth. 1. 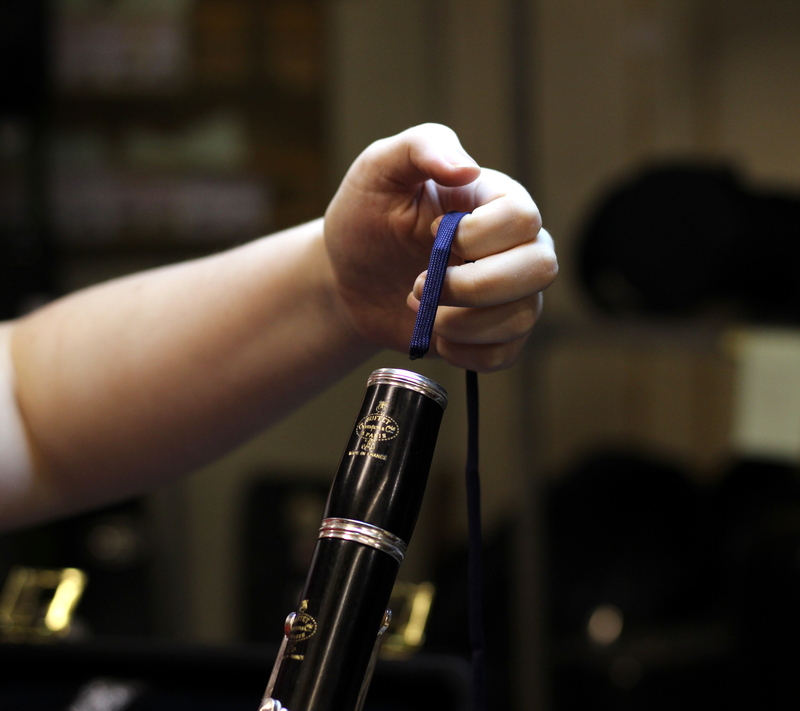 The first thing to clean after you've finished playing is the inside of the clarinet. Most clarinet pull throughs have a weight in the end, this is to make sure the cleaner passes through the whole of the clarinet with ease. 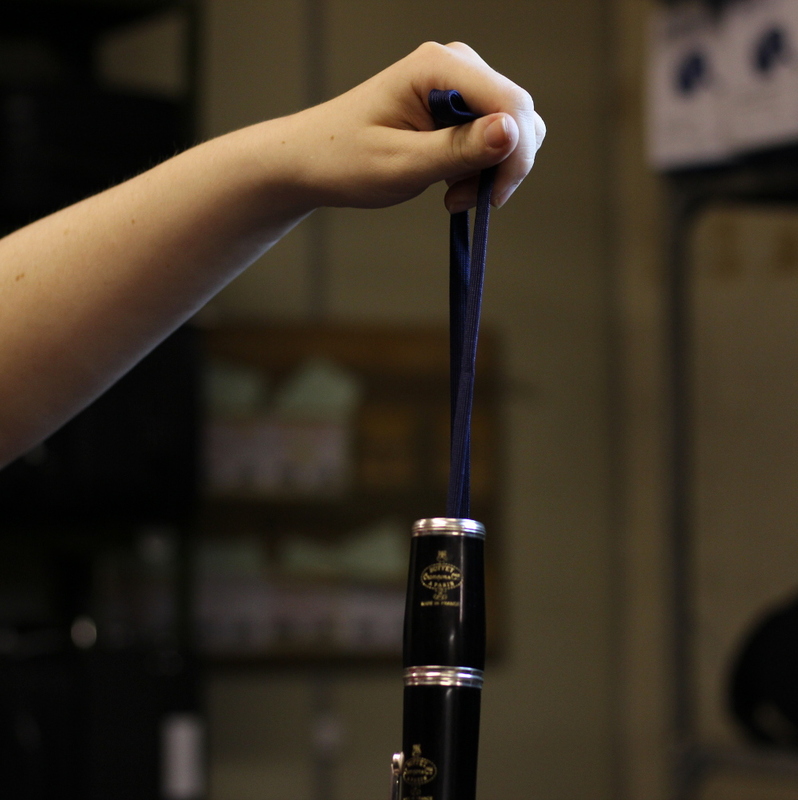 We always want to pass the cleaner through the top end of the clarinet through to the bottom to avoid it getting stuck. Before you begin, make sure there are no knots in the pull through, as we do not want the cleaner to get stuck in the clarinet. 2. Thread the end of the cleaner through the clarinet gently. It doesn't need to be forced. 3. 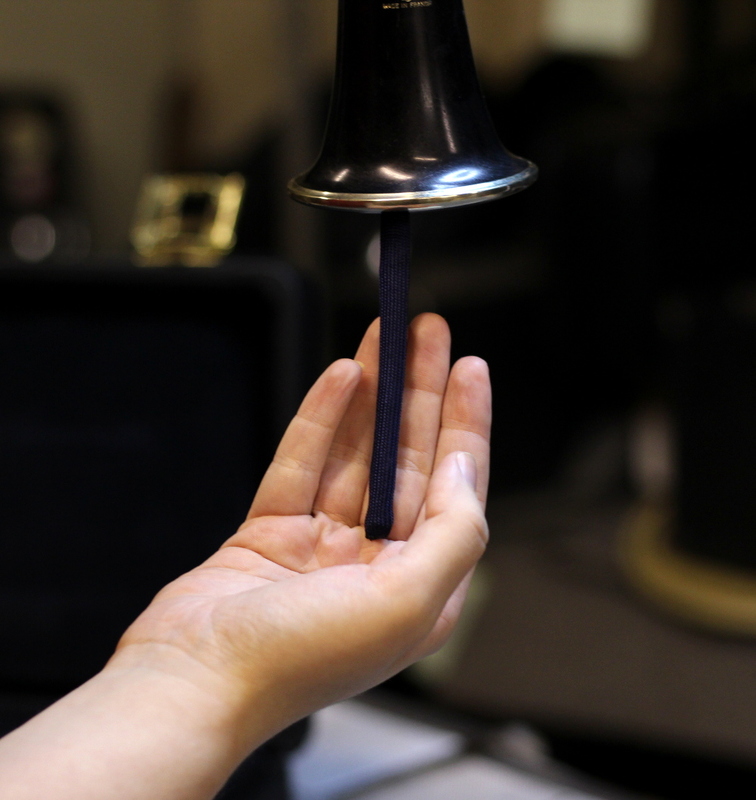 The end of the cleaner reappears at the bell of the clarinet. Catch this with your hand. 4. Pull the cleaner gently through the clarinet. If you are finding this tricky, you can clean the individual joints of the clarinet seperately. 5. 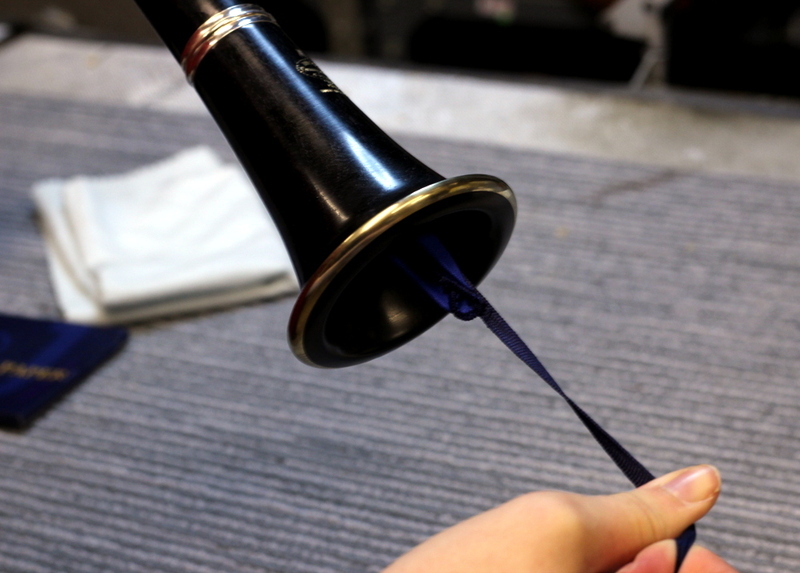 Keep pulling until the cloth part of the cleaner comes out of the bell of the clarinet. You have successfully cleaned the inside of the clarinet! To keep the keywork shiny and looking new, clean the keys with a silver cloth. This will remove fingerprints and stop the silver plate from tarnishing. Enjoy keeping your instrument clean, as it is as important as the playing. If you have any doubts, or questions, please do not hesitate to get in touch. We're reachable by phone, email and in person and always happy to help!